To see the changes which were made in the merit badge pamphlet, Click here. The BSA's Guide to Safe Scouting states under "Unauthorized and Restricted Activities" that flying in aircraft as part of a search and rescue mission is an unauthorized activity for youth members. For complete information, see http://www.scouting.org/healthandsafety. 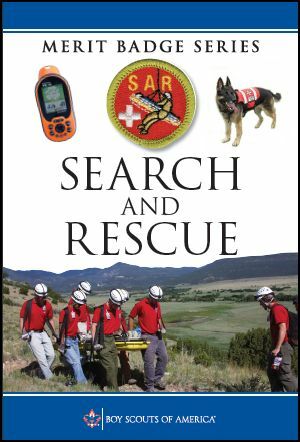 *Scouts who have already completed the original requirement 5 as published in the current Search and Rescue merit badge pamphlet need not redo this updated requirement in order to earn the badge. 5. Complete the training for ICS-100, Introduction to Incident Command System. Print out the certificate of completion and show it to your counselor. Discuss with your counselor how the ICS compares with Scouting’s patrol method.